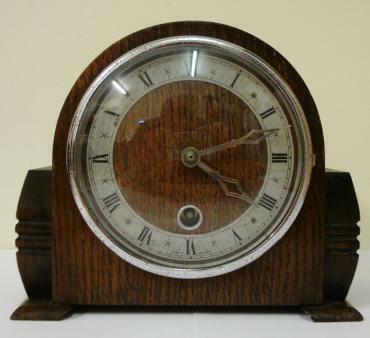 Stock Number: CLMA041 - English Oak Cased Timepiece Mantel Clock - £245. 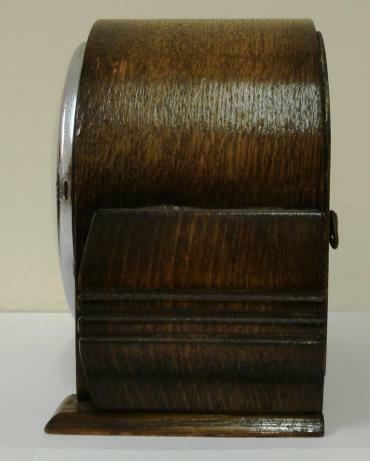 English 8 day oak veneer cased mantel clock timepiece circa 1930 by Davall, retailed by T.Pickford & Co. 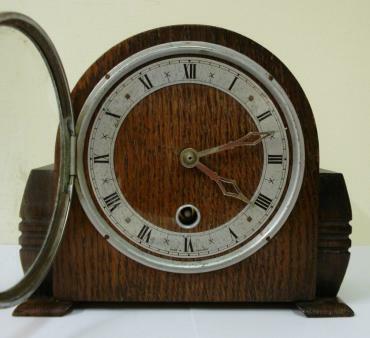 Round topped case with decorative side moulding, chromed bezel with convex glass over silvered chapter ring with black roman hours and chromed steel hands. 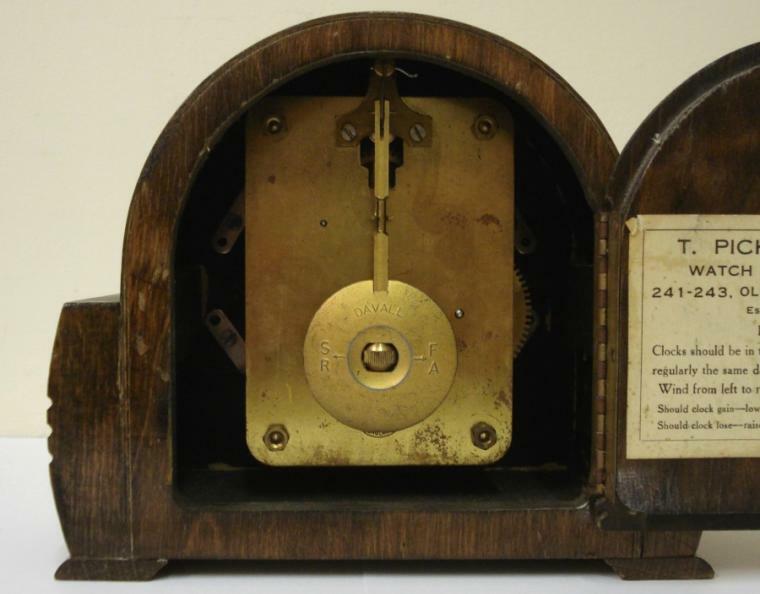 Square brass spring driven movement with original Davall pendulum. 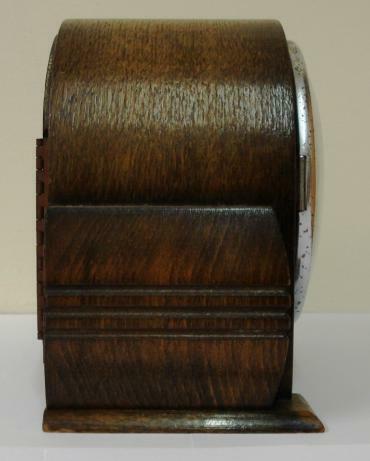 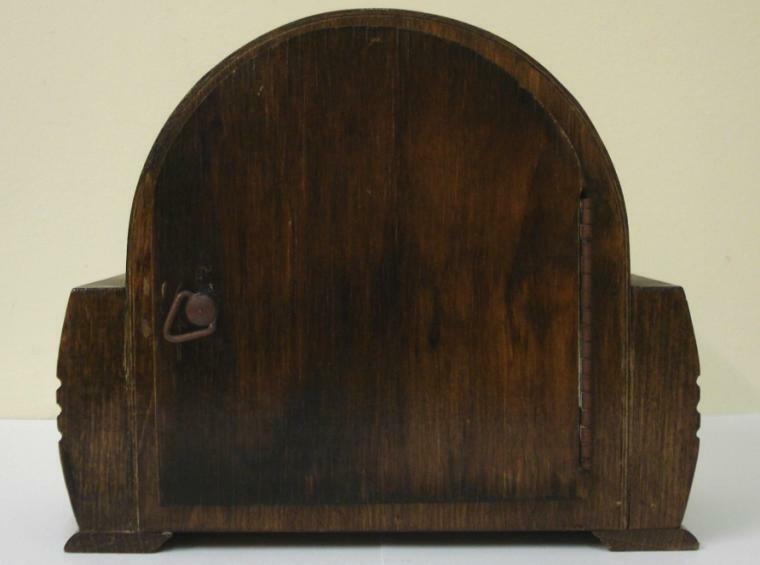 Dimensions: Height - 6.25", width - 7.25", depth - 4.5".